Content marketing has been traditionally viewed as blog posts, articles, and email newsletters. However, in the last few years, there is another platform which can be a very powerful tool if it can be properly executed and that is video marketing. When it comes to content marketing, marketers should realize that to most customers, to see is to believe. 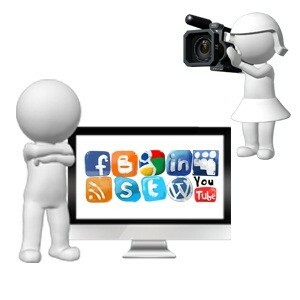 But, one cannot just simply jump into adding videos to content marketing as there are numerous points to consider. If the marketing team in your company is contemplating on adding video to marketing content, there are some questions they need to ask to determine if the idea will be beneficial for the product or service. First, they should consider asking if the content will lose its meaning in image or text form. If the answer to this query is on the positive, then the use of videos presents a very viable option. They should also think if such content will lose its relevance if it will not be accompanied with audio information and visuals. Some marketing ideas really require auditory and visual elements in order for it to become engaging. An example of this is content where you need to describe very complex processes. The written format may be too difficult and too dry without any visual and sound. If the answer to this query is on the positive, video marketing is the way to go. One great strategy for creating successful videos for content marketing is the use of humor as an effective way of engaging customers. If your target audience will be laughing, then they are surely glad at what they see. If they will feel happy by your presentation, they will have the brand associated with their emotions. But, remember not to sacrifice the messaging of your product with just some cheap laugh. If you can do this, you surely have won on marketing. The length of the video must be considered. The ideal length of a video for content marketing runs from 1-4 minutes. Those who have so much content to share usually commit the mistake of drawing the video up to 10 minutes. This can result into the video being ineffective as consumers tend to easily lose their interest. Create longer videos if you are confident that you can sustain the interest of your viewers. When you use blog posts and articles for marketing and you are trying to convince the reader to perform the call to action, the tendency is for you to break the content to smaller pieces. Each one of the piece has its own specific call to action. In contrast, when you use video, the call to action must be something which is simple and direct. Mason Brown is marketing lead at Arcapps.com, which provides quality Mobile app development using advanced technologies. It is his passion to write on technology subjects because this is the age of technology revolution.